Every day more than one thousand houses must be built to meet the demand for new homes for the growing worldwide population. The environment where we live must evolve. 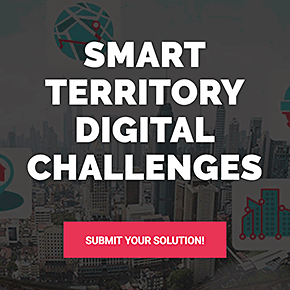 Smart infrastructures, buildings and territories are needed now. This can shortly be realized only if innovative technologies are integrated to the construction and facility management process supported by Building Information Modeling (BIM). The full potential is still to be unlocked. Will your solution enhance the construction process by sensing concrete information, by monitoring the later building quality, by optimizing the supply chain during the construction process, by improving the infrastructure and sustainable development of cities or by making the whole process safer for the worker and the real estate owner? Then this is for you!